Making the shift from the mindset of compulsory or coercion based models of education and parenting is a deep and difficult change. It can’t happen overnight and it can’t happen unless families commit to doing the work that will lead to lasting change. In order to jump start your family culture shift, we encourage you to lead your family in one of the following challenges! These are just ideas- if you have a specific focus or project you feel would better serve your children, go for it! Let us know about it and we can add it to this list. Option 1: Read Aloud. Pick a novel that is heart engaging, good, and beautiful. Start a habit of reading out loud with all of your children together every day. If you need help finding a book, we recommend getting the Good and the Beautiful Book list. Talk to your children about what you are reading. Make this a joyful time of connection and closeness. Option 2: Family Meals. Challenge yourselves to prepare and eat one meal each day together. During each meal, make it a point to engage your children in meaningful conversation. One suggestion to help get kids talking is having a “sweet, sour, service” moment. Each child can say what the best part of their day was (sweet), the most challenging part of their day (sour), and one thing they did for someone else (service). Option 3: No Sugar. Try to go a whole week without eating any processed sugar, junk food, fast food, or desserts. Afterward, lead a family discussion about each person’s experience. Help children record what they learned. Why is it important to keep our bodies clean and healthy? What was the effect of this on their minds and hearts? Option 4: Media Fast. Commit to going a whole week without using screens for entertainment. This means no TV, video games, movies, entertaining apps, or social media. Obviously we don’t expect you to not make phone calls or text, but avoid using your phone unless absolutely necessary. Afterwards, lead a family discussion about each person’s experience. Help children record what they learned and what they think the true purpose of technology is. How can it be used for a tool? a distraction? Option 5: Meaningful Service. 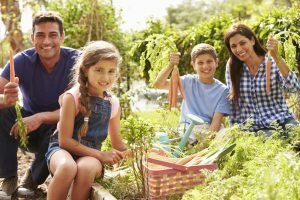 Plan a service project that involves the whole family. Visit JustServe.org for local service ideas. Afterwards, lead a family discussion about each person’s experience. Help children record what they learned and what talents they might develop in order to better serve others and solve the problems they see in the world.